Hey kids, sing along and learn Bits Of Paper rhyme. 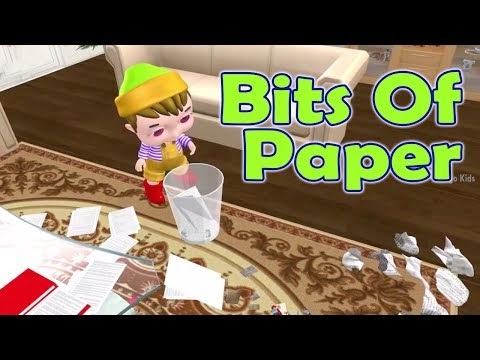 Bits of paper makes place untidy, so never throw them on ground. pick them and throw it in dustbin. We should keep our surroundings neat and clean.